Tom is 36 today. I can still remember that day in 1966, around 6:55 am, when they woke me up to say I have a new brother, and that he has lots of hair! It's been a fun 36 years, and look! He still has lots of hair! 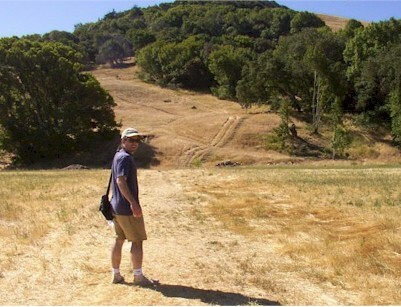 This photo is from last June on a disc golf course in Marin County, California.